Learn how to clear old thought-feeling patterns with this amazing tool. Gayle will prepare and walk you through how to use this template so you can remove unwanted patterns that may have plagued you for a lifetime. It will free you up from negative energies that no longer serve you and remain hidden in your unconscious. Each session will gently uncover and refine what is needed for each individual in the group. 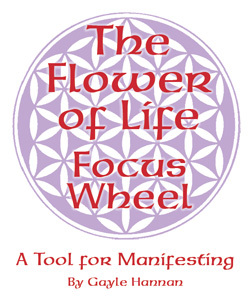 As we walk through the colors of the chakras represented on the template of the Flower of Life Focus Wheel, Gayle will draw forth the essential qualities, or obstacles, surrounding the thought-feeling patterns as it relates to the focus chakra. You may only need one session to learn how to use it on your own, or come for several and get a deeper understanding and healing with Gayle’s help. You will reveal the core negative thought-feeling patterns that are asking for review, and then consciously and energetically release them. Finally you replace it with a new consciously chosen positive thought-feeling and write a new program for yourself. The results are immediate and you are permanently free from a particular pattern. Remember however, we are multi-dimensional beings with many layers of thought-feeling programming. This is a 2 hour class on Sunday afternoon 1-3 PM this fall. $29 for Electronic and Hard copy work book. Using this tool brings forward a deep healing process as you begin to unveil and unravel old paradigms around relationship, health, money, work and play. As you understand and use the template you can do many wheels whenever the need arises. 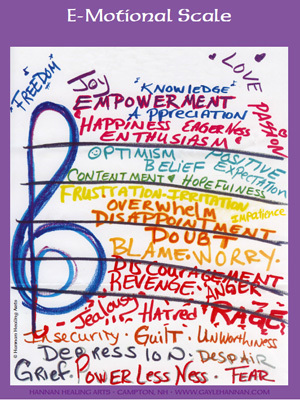 This is an empowerment tool designed for regular use and self-development. Creating positive thought-feeling patterns makes it easier to manifest your desires and develop the creation of your own life. This is the big sister of a Reiki Share. We will meet on Saturday afternoon for a few hours in order to share wisdom, practice healing skills, and receive energy healing too. Every other week we will focus on a type of practice starting with Reiki, Marconics, using Pendulums during a healing and Chakra healing. 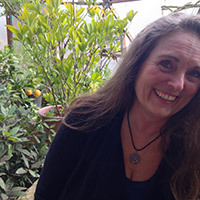 As an Advanced Energy Healer she’s discovering a path to healing that is especially beneficial to Trauma victims. Over the course of a lifetime humans experience many types of trauma; small infraction of words or actions repeated over a long period (or short) of time changes who a person is, becomes and often remains. Clear belief system templates related to the presenting emotional vibration and Replace with the new one. These advanced energy healing techniques efficiently work at the cellular level. They are amazing, beneficial and have permanent results. The success is phenomenal. People who were victimized through physical, sexual, or emotional assault be it subtle or obvious can have a new life free of the symptoms they have carried since the occurrence of the events. It is painless, one does not have to re-live the original event emotionally, all you need is a desire to explore and change to a new, and improved vibrational emotional frequency. Addictions are often a symptom that people use to numb the pain of an early or recent trauma or belief. When the trauma-belief is brought to consciousness and redefined, released and reconfigured through the Neuro-endocrine electrical cellular network, the nervous system and the brain – any previous memory trigger that shows up does not have the same impact, response or reaction as it would have had prior to treatment. For people suffering with the uncontrollable responses this is like a miracle. The emotional – physical reaction that would typically occur as a result of the trigger memory, now present with a calm response and positive expectation. This experience of healing change can occur in person or via a distant session. Since she works holographically and is highly skilled at tuning into energy fields anywhere in the world you can receive her help. Let me explain about how trauma presents within the energy field. The human being is a “Vibrational Frequency Electrical Field” and when traumas occur they change the resonate frequency in a particular area of the field depending on the source of impact be it emotional or physical. Over time, repetition creates a Neuro pathway within the person at an emotional level which then creates a bio-chemical physical response to – fight or flight – thereby activating the adrenals. Eventually this creates an autonomic response pathway which is very similar to neuro-pathways that develop from other physical activities such as riding a bike or driving a car. The body remembers autonomically – freeing the mind for other input. The same holds true for emotional events particularly where there is a perceived or actual threat or danger to one’s life or well being. These pathways remain, even when the threat has passed and is no longer a danger. Next comes a reminder trigger which activates the neural pathway and the flight or fight gets activated again causing the symptoms of PTSD (post traumatic stress disorder). Most people have a degree of this in some form. Particularly men and women who tend to be ” sensitive” or “empathic” or highly observant to the dynamics or relational interactions of the home/school environment from an early age. People who experience traumas during adulthood also benefit. Redirecting, Releasing and Recovering the Neuro-endocrine pathway from a serious accident or injury works. People loose their fear or anxiety around the triggers that a happened prior, during or after an accident. Gayle is adept at helping the client identify the triggers (memories/reminders of the trauma event) feelings and responses which keep a person feeling “paralyzed”, frightened, threatened and retrains the body to a new behavior and emotional response. Our emotions are our most powerful indicators to us and our physical bodies. They are constantly providing information about what’s going on at the unseen levels of our internal physical body, our brains and our “invisible” emotional states. Freeing yourself up from low-slow dense vibrating emotional frequencies such as depression, grief, fear, unworthiness, guilt, rage, jealously, powerlessness and anger to name a few, will set your life on a course maybe you didn’t think was possible. The treatments you receive will give you relief right away and over time your success in becoming healthy in your body and relationship will bring you to the higher vibrating resonate emotional frequencies like love, peace, contentment, Joy, empowerment, appreciation and more for longer sustainable periods of time. Without drugs! When you know yourself and how all the moving parts click together you are better able to manage the difficult challenges life often brings. Gayle can help you see the unseen, bring it forward with keen, loving eyes and help you shift it into consciousness where it will remain visible healed and recovered by you as a part of your human journey. Sign Up for your FREE 15 Minute Conversation TODAY! Attained the Master level of Reiki. 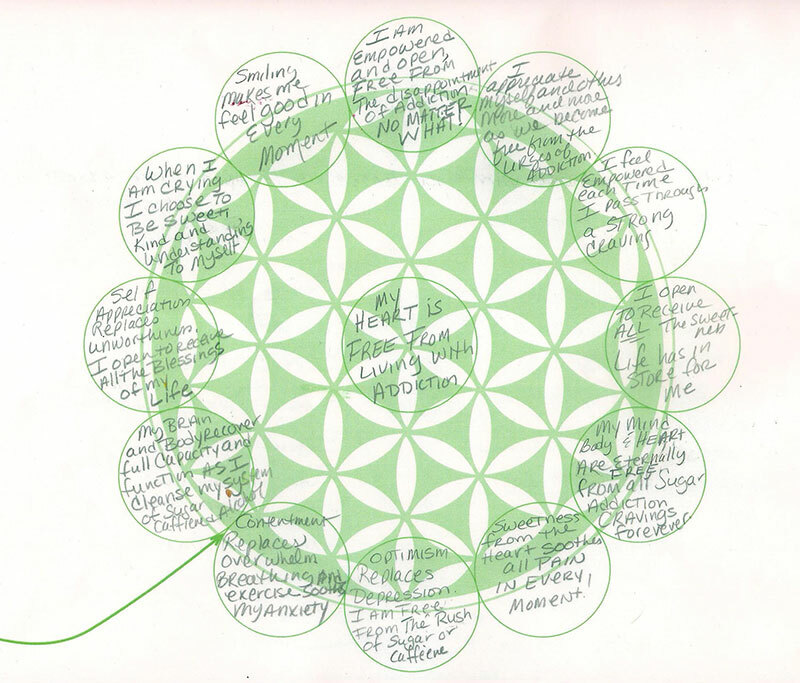 She has been studying, experiencing and working consciously with the human energy field since 1993.